This giveaway is sponsored by Marin Bee Pure Honey Skincare, who compensated me for organizing the giveaway. All opinions are my own! With so many new natural skincare products hitting the clean beauty market every day, it takes a little bit more to stand out in a crowd. Marin Bee Pure Honey Skincare didn’t have any problem standing out to me, though, thanks to its gorgeous, intricate packaging and sweet formulas. The brand uses local California wildflower honey cultivated on the hillsides of Northern California in all of its products. Today, I’m excited to share the magic of Marin Bee with you in a generous giveaway! Founder Debra Tomaszewski first discovered honey’s skin benefits while tending her hives as a backyard beekeeper. As her children grew up, fussy skin became an issue at home. When prescription treatments were too harsh and irritating for their delicate skin, Debra tried her hand at crafting homemade remedies to help her children. Her home recipes became the base for Marin Bee Pure Honey Skincare. While building the skincare line, Deb and her husband, Bill, began teaching free beekeeping workshops in their community. Friends, neighbors, local schools and organizations began reaching out with questions and requests to set up hives. With demand for their workshops growing, Debra and Bill launched a nonprofit, Planet Bee Foundation, to foster the next generation of environmental stewards. A portion of all sales of Marin Bee Pure Honey Skincare supports the Planet Bee Foundation and its mission to save the world, one bee at a time. And now, a little about the fabulous products I’ve tested and am offering in today’s giveaway. I’ll be offering full editorial reviews in the future, but here’s a little taste of what’s to come in your giveaway package. A creamy, warming treatment, the Detox Masque takes advantage of the purifying powers of kaolin clay and pairs it with exfoliating pumpkin enzymes. Perfect for combination, oily and acne-prone skin, the ready-to-use Detox Masque is a simple weekly indulgence that will leave your skin refreshed and even-toned. 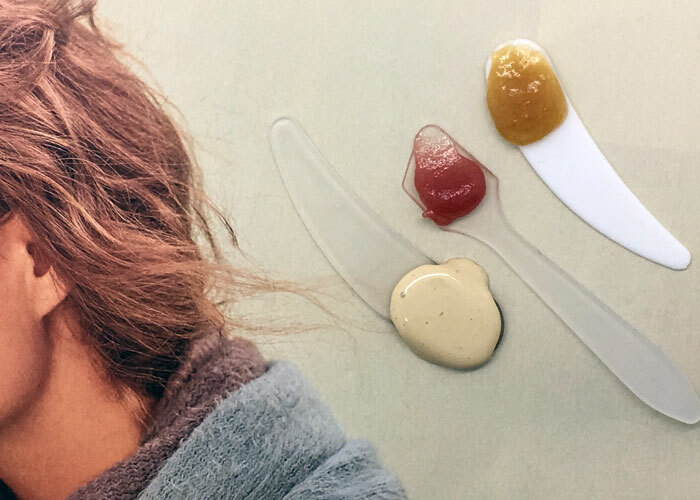 With its dense, luxurious texture, the Honey Polish is the ultimate skin soother for severely rough, dry spots. My favorite way to use this polish? As a deep, intense scrub for winter feet. Glossy and pink, the Lip Repair offers a nourishing blend of honey, butters and oils to keep your kisser soft and silky. Its naturally flushed color offers a youthful appearance to the lips. Use the handy dandy Rafflecopter widget below to enter to win this skincare trio valued at more than $100! 3. Giveaway begins Friday, December 16, 2016, at 12:00 a.m. Central Time, and closes on Friday, December 23, 2016, at 12:00 a.m. Central Time.